Airport transfers with reliable and trusted car service, $30 USD per person. 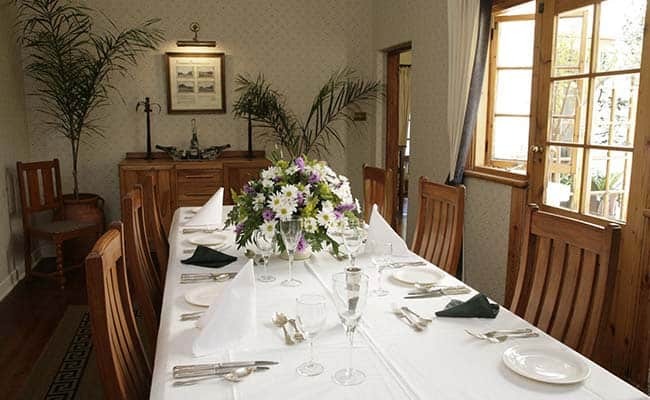 We received a recent review on our Facebook page – “York Lodge must have one of the best chef’s in town as the food is always top quality and very very tasteful!” We have to agree – our longstanding chefs have been delighting our guests with fresh and delicious meals for the past 17 years at York Lodge. All meals and dinning arrangements can be communal in the main house which makes for interesting dinner conversation or in a private section of the house or in the guests’ room or veranda if preferred. 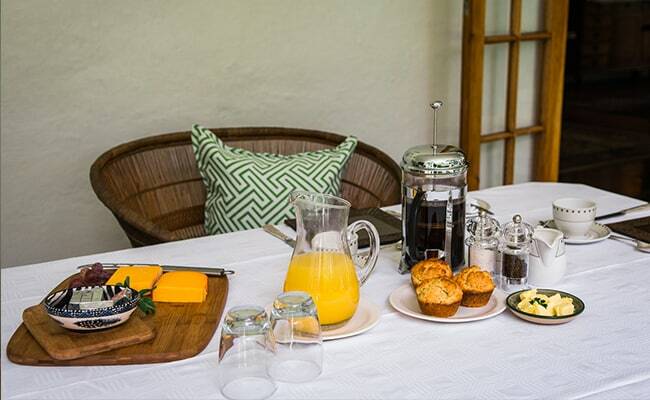 Breakfast is served daily between 06:30am and 09:30am and is included in the room price. Guests can dine in the sunshine on the veranda with the morning song of birds in the luscious garden daily. Breakfast includes fresh seasonal fruit, freshly baked muffins and a full cooked breakfast to order. Bottomless hot and cold beverages available. 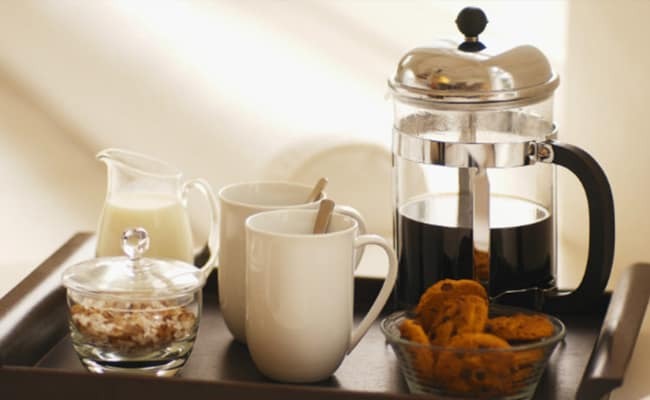 There is also a 24-hour tea and coffee bar available in the main house for guests to enjoy free of charge. 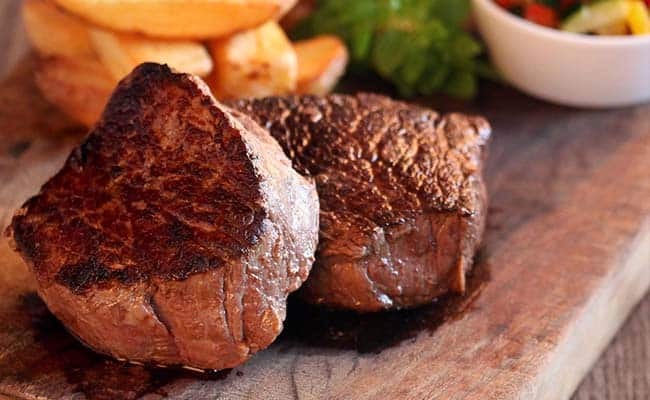 Dinner is a highlight to many guests and the fillet steak is top of that highlight reel! We offer a three course daily dinner buffet made by our experienced chefs. All dishes are created around in season, local produce to ensure it is fresh and wholesome. All meals are served with a massive smile and the warm welcome of home after a busy day. The dinner buffet costs $30 USD per person. A well-stocked honesty bar with wine, spirits and other drinks is available for guests to enjoy from 11am daily. Room service is available from a menu selection of fresh sandwiches, salads and sweet treats from 9:30am till 5pm.